Travellers International Hotel Group Inc, operator of the Resorts World Manila (RWM) casino resort (pictured) in the Philippines capital, on Monday reported a net loss of PHP311.2 million (US$6.1 million) for the three months to June 30. That compares to a net profit of PHP638.6 million in the prior-year quarter. The company’s results were negatively affected by the shutdown of some areas of the property – including the casino – during the month of June, following a lone gunman attack that claimed 37 lives, mostly due to smoke inhalation. Net revenue for the second quarter of 2017 was PHP4.55 billion, down 30.3 percent from the prior-year period, the casino operator said in a filing to the Philippine Stock Exchange. The company said it recorded a 36.0-percent year-on-year decrease in gaming revenue, to PHP3.99 billion, as the casino at Resorts World Manila was closed for 27 days in June. At the end of June, the property had a total gaming capacity of 218 live gaming tables, 1,407 slot machines, and 110 electronic table games. The casino at Resorts World Manila was shut down immediately after the June 2 attack on the property. On June 9, the local casino regulator, the Philippine Amusement and Gaming Corp (Pagcor), suspended Resorts World Manila’s casino licence, pending rectification of what the regulator said were “serious security lapses and deficiencies” at the property. The suspension was lifted on June 29. Kingson Sian, president and chief executive of Travellers International, said in an interview with Bloomberg in July that the closure of Resorts World Manila’s gaming operations had cost the company about PHP60 million per day in lost gaming revenue. Revenues from hotel and restaurant operations for the second quarter increased by 12.0 percent year-on-year, to PHP643.8 million, according to Monday’s filing. The firm reported earnings before interest, taxation, depreciation and amortisation (EBITDA) of PHP767.3 million for the three months ended June 30, down 51.7 percent from a year earlier. 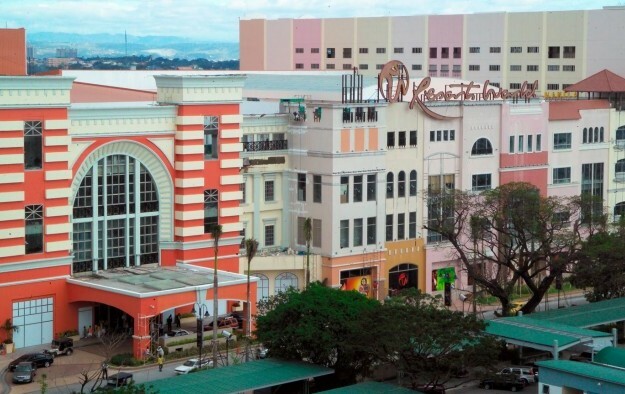 Travellers International is a venture between Philippine-based Alliance Global Group Inc and casino cruise specialist Genting Hong Kong Ltd.
On Monday, the company again said that the second floor of the casino – affected by the June 2 incident – would be converted into a retail zone. The firm had also previously announced plans to bring forward by six months the opening date for a new gaming area in a third phase of Resorts World Manila. “We must be dynamic and aggressive to make sure that Resorts World Manila is ready for increased competition and the expanding market,” said Travellers International’s Mr Sian in a statement included in a separate press release on Monday. “Resorts World Manila remains committed in implementing necessary enhancements that ensures the safety, security and enjoyment of our customers and guests,” he added.